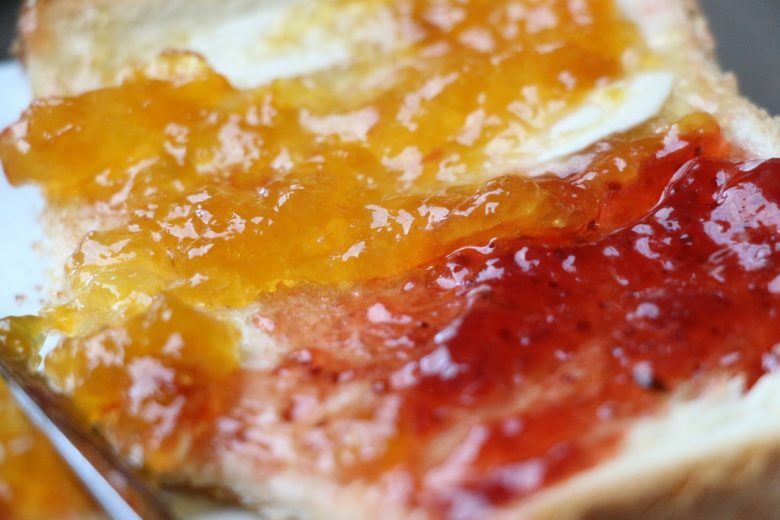 Making jam is a great way to preserve fruit, but once you have made it, just how long will homemade jam last? This is a fairly simple question and the answer is fairly simple. Most homemade jams will last around a year or two if left sealed. After opening jam will last 2 – 3 months in the fridge. 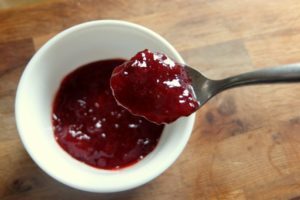 The shelf life of a jam is an approximation and can vary according to a couple of factors so if you want to learn more about what preserves a jam and how the shelf life can be extended or shortened by certain factors then let’s take a look. What Does This Mean For The Shelf Life of Homemade Jam? Jam stays fresh in the jar even at ambient temperatures are because of few reasons. These all work with each other to ensure that microbes, enzymes or oxygen cannot spoil the fruit. First of all we have the moisture content: By cooking the fruit and adding sugar we reduce the amount of moisture. Water is vital for bacteria, mould or yeasts to grow and whilst jam or jelly may seem fairly moist a lot of liquid is removed from the fruit by boiling vigorously, sugar also acts in a hygroscopic manner. This means it absorbs liquid which means their is not enough moisture for bacteria to get established. Low pH Acidity: Jams have a low pH which inhibits the growth of bacteria or spoilage microbes. Most jams have a low pH which is one of the reasons why they set the way they do. This low pH can typically be in the 3 – 3.5 pH range. At this level it is very hard for bacteria to survive. Heat Processing: The process of making jam require fruit and sugar to be boiled together for a prolonged period until the temperature reaches 105°c (220°F) killing nearly all spoilage microbes in the process. Jam is then packaged whilst it is still hot and can optionally be further heat processed by heating the jar whilst sealed in a water bath at boiling point. Jars Are Sterilized: When you package up a homemade jam you have to sterilize the jars. This means that any spoilage bacteria is killed before you seal the jam and the risk of spoilage is extremely unlikely. These combined factors mean that most jams are stable on the shelf for a year if not more whilst being unopened. I am aware some people have jars of jam set aside for multiple years without any issues. 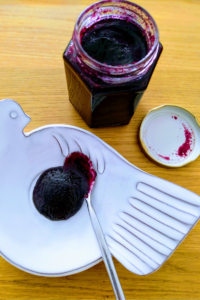 To ensure you get the maximum lifespan on your homemade jams and they last as long as possible then consider making the following points part of your jam making process. 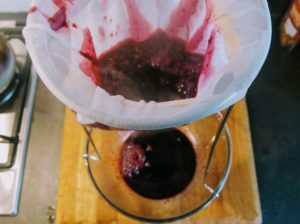 Heat Processing or Canning Your Jams: Once the jams are added to the jar and sealed taking the extra step of heat processing the jars will ensure a longer lifespan. This is an optional step and is not necessary but will mean your jams last a lot longer. It is really simple to do, just bring a large pot of water to the boil and turn down to a gentle simmer. Carefully add the still hot sealed jars (a jar lifter is good for this) to the water bath and allow to sit in the simmering water for at least 10 minutes. Most recipes will state a processing time. Remove from the heat and you are done. Using Wax Papers: Wax papers are available here. They are really simple to use, you just fill your jars with jam and add a wax disc to the top of the jam and then seal with a lid as normal. The wax discs sit on the surface of the jam and keep the jam completely free from oxygen and oxidation. Oxygen is bad for any preserved food and a simple wax paper disc will make your jam last longer whilst it is sealed. Using Enough Sugar: Typically jams use roughly equal amounts of fruit to sugar. This is important for both how the jam sets and that it is preserved correctly. As mentioned above sugar absorbs moisture which is vitally important to keep spoilage microbes at bay. To make you jam last longer enough sugar is required. Some recipes use smaller amounts of sugar and will probably have stated on the recipe a shorter shelf life or will need to be kept in the refrigerator as soon as they are made. I have jams in the cupboard that are over two years old. I opened some recently that have been stored away and they are as good as the day I made them. 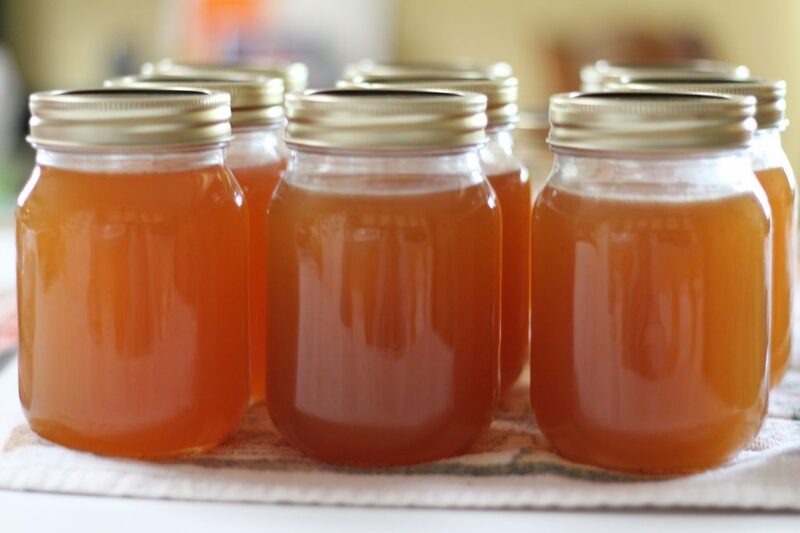 It is, of course, wise to smell and check for any signs of spoilage but if you take care when you make the jams there is no reason why your jams won’t last years as well.